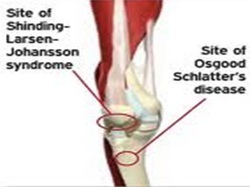 This disease refers to an injury to the bone growth plate at the bottom of the kneecap which occurs in younger athletes. patellar tendon. 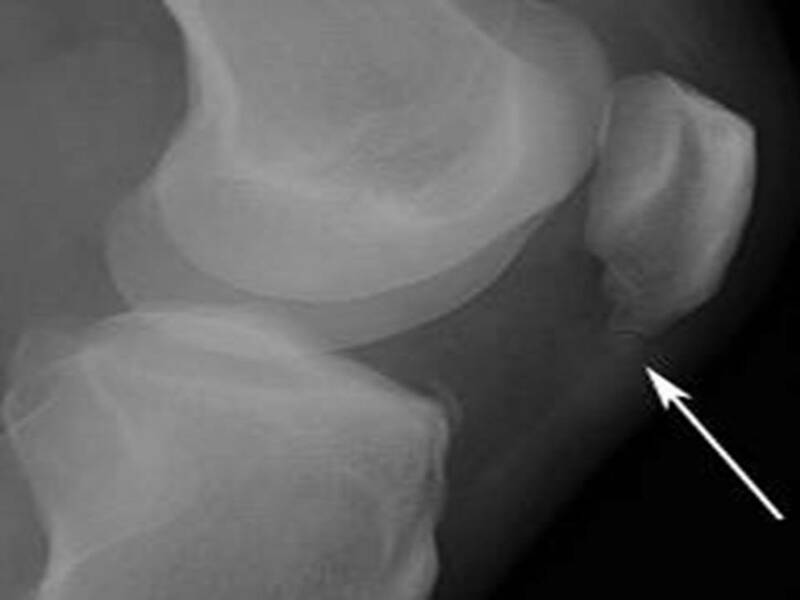 In children, the segment of the kneecap from which the patellar tendon originates is separated from the bulk of the kneecap by a growth plate. This growth plate allows bone growth to occur. However it is also a site of weakness in the bone. Aggressive and repeated contraction of the thigh muscle can injure the growth plate. running and jumping and occurs during a period of rapid growth. During rapid growth, the thigh muscle and patellar tendon become tighter as the bones grow. This leads to increased pulling of the patellar tendon on the kneecap and growth plate. Pain is felt where the patellar tendon attaches to the kneecap. The pain is felt most commonly during activity or exercise. The bottom of the kneecap may also be tender to touch and swollen.